We start our route through these temporary spaces at The Hovse. This is the fourth Christmas season that they take over three floors and the roof of a stately building in the heart of Chamberí (Calle General Arrando 40) providing an excellent shopping experience in a relaxed and pleasant environment with more than 40 brands of clothing, crafts, decoration and beauty. Here you can taste the delicacies of Meat burgers or sip fancy Seagram’s cocktails. This edition, fashion designer Sybille, winner of the National Fashion Award 2015, joins the team to open a studio on the third floor. The market remains open until Christmas Eve, every day from 11 am to 9 pm. Until January 5, you can still visit Federica&Co’s first Christmas pop-up store in the heart of Salamanca district (Calle Núnez de Balboa 24) where they show the world their commitment to slow living in a temporary space called Slow Revolution. 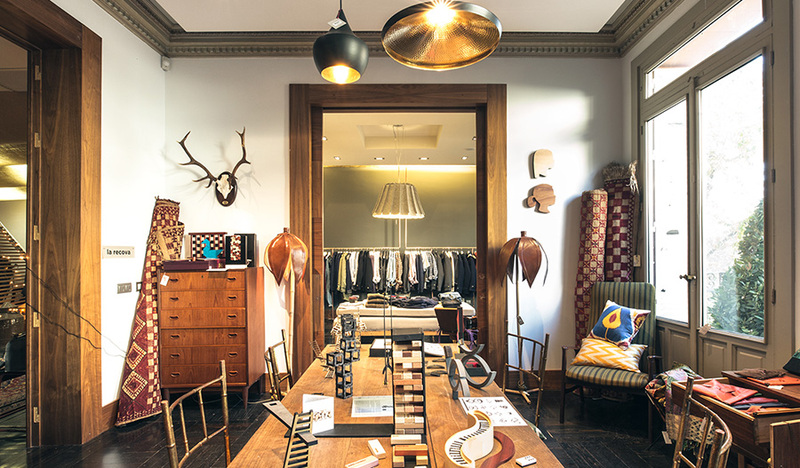 Inspired by nature and forests, they host 35 brands of the finest fashion, home, and jewelry design. In addition, the store will have a Ca’Matteo Italian trattoria for visitors to taste some appetizers. 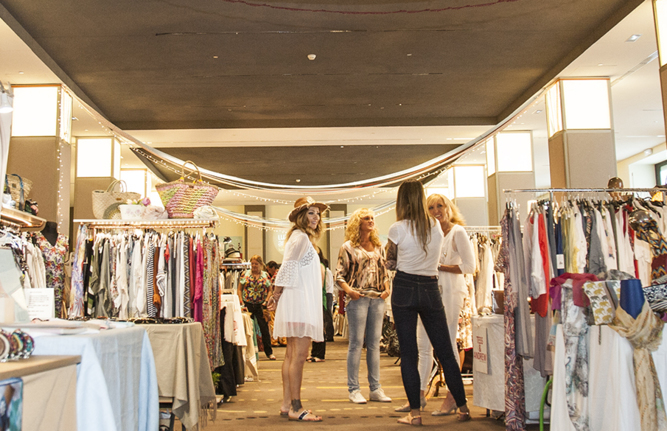 Nearby, the exciting Chic Pop Up market is split into two locations, one at Calle Velázquez 12 and one at Calle Claudio Coello 53. Until January 10, more than 100 companies will present the latest trends in clothing, toys, books, shoes, accessories, furniture, and decoration among others. Let’s go now to Gran Vía 13, where this spectacular classical building stands. The former Casino Militar will host the Mercadillo del Gato Christmas market until January 6. With over a hundred exhibitors on 800 square meters, nobody will leave empty-handed thanks to its great selection of man and woman fashion, toys, decoration, vintage pieces, jewelry… They will also host the traditional Military Casino’s nativity and an exhibition of nativities from 174 different countries. Also, don’t miss the gourmet space, GastroGato! 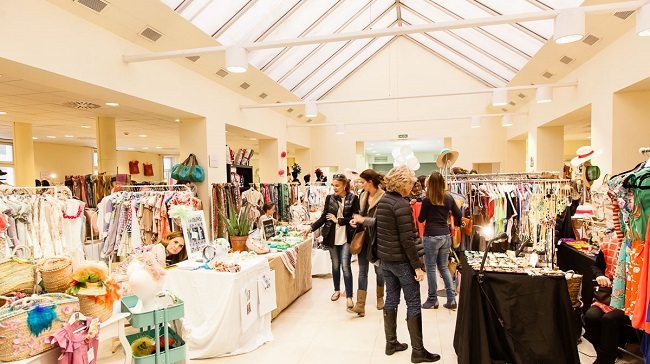 In Alonso Martínez, the Santa Bárbara palace will turn into a temporary store where fashion, jewelry, accessories, decoration, art and delicacies exhibitors will present their products in an original and personal manner. For wine lovers, the winery Ramón Bilbao invites visitors to join a virtual reality trip through the history of wine. Those seeking gourmet experiences, shouldn’t miss the terrace on the palace’s grounds, since it offers many foodie delights. It will be open at 85 Hortaleza Street, Madrid, until January 5. Last-minute gifts? No problem! Don’t miss the DIY Que Sí! market, a monthly event for handmade and DIY lovers that this time is taking place on the first weekend of January. This edition is completely dedicated to Christmas presents! It will host workshops on photography, and different arts and crafts to show everyone the benefits of the Do It Yourself trend that already has tons of fans. The event will take place at Calle Espíritu Santo. Also on January 2-3, the designer market at the Central de Diseño, inside Matadero facilities, will host 90 designers to show their products, alongside workshops, exhibitions and live concerts.